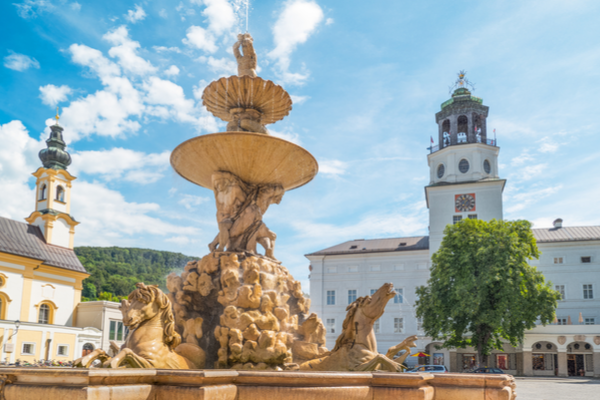 The beautiful Baroque city of Salzburg exudes an atmosphere of timeless elegance, only enhanced by its connection to iconic musical phenomena of the past. Its musical history lives on in the architecture, live concerts, museums and tours that locals and guests enjoy all year-round. Today I’m singing Salzburg’s praises by introducing you to two of its most famous inhabitants: the Von Trapps and Wolfgang Amadeus Mozart. Whether you are a true history nut or you just love musicals, Salzburg is the city for you. Not only was the classic film of The Sound of Music filmed in locations dotted across the city, the real Von Trapp family lived here too. 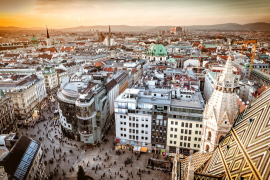 Through finding out more about the real Von Trapps, you will delve into the past and uncover what life was like for Austrians as tensions built across Europe before World War Two. The well-known film is based on the true story of a young novice, Maria Kutschera, sent to act as a governess in a large family. 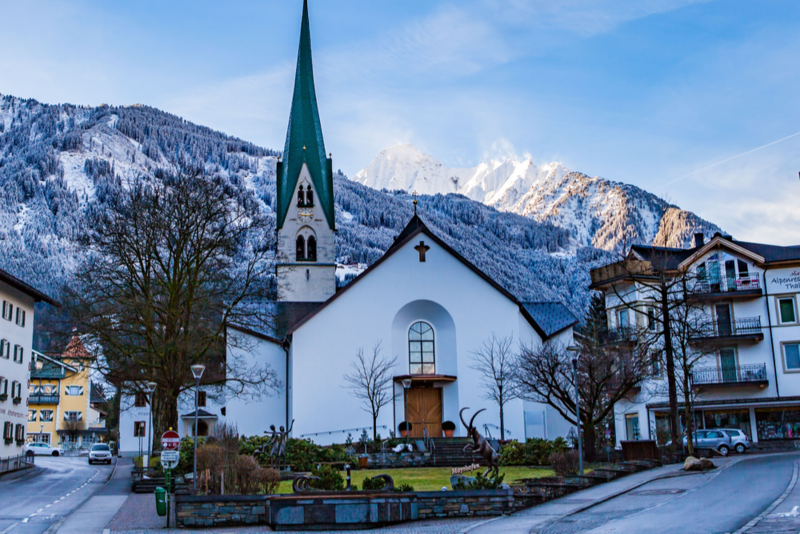 The family formed a choir in the 1930s and emigrated to the United States of America after leaving Austria. They were internationally famous singers in the late 1930s and their tale inspired the 1960s film The Sound of Music. The Sound of Music is an iconic film – it won five Oscars and rightfully has a place in the movie hall of fame. You are sure to spot many of the original filming locations as you wander around the city. If you don’t want to miss anything there are many organisations which offer dedicated tours to these spots. However, if you choose to go it alone, don’t miss these three iconic locations. Mirabell Gardens – One of the most memorable songs from the film, Do Re Mi, was filmed here – the children danced and sang around the garden’s Pegasus Fountain. St. Peter’s Monastery, Cemetery and Catacombs – It is in the cemetery and catacombs of this landmark that the Von Trapps hide to escape capture before they flee the country. The Felsenreitschule – The Summer Riding School was the backdrop to the singing competition where the family sang a moving So Long, Fair Well to their beloved Austria. 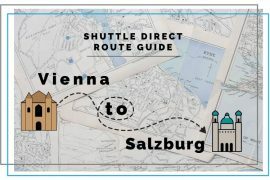 Not only are these locations thrilling for fans of the film, but they are also fascinating for those interested in Salzburg’s own history. This museum combines the real story behind The Sound of Music with the story that charmed many of us on the silver screen. It includes many original documents, film props, photographs and more in an enthralling exhibition. 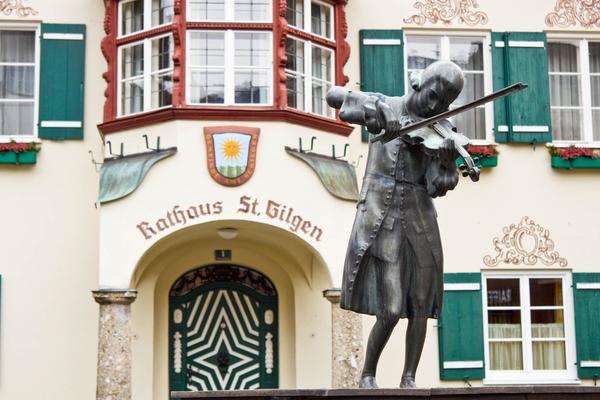 The town’s other great musical attraction is, of course, Wolfgang Amadeus Mozart. The famous composer was born in Salzburg in 1756 and lived there before moving to Vienna. 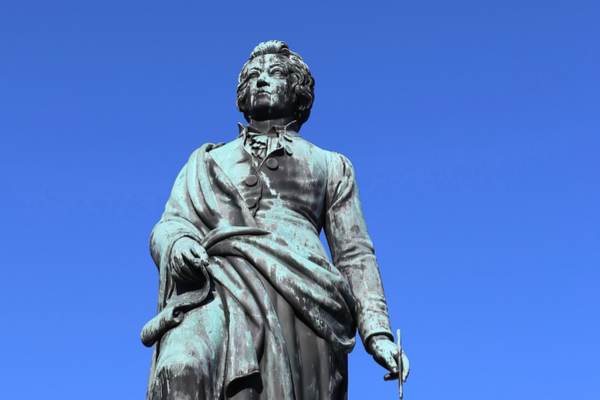 In many ways the entire town is a living monument to this incredible man; however, there are a few dedicated sites that help visitors imagine eighteenth-century Salzburg and the life Mozart led there. Now an excellent museum, Hagenauer Haus at No. 9 Getreidegasse was the birthplace of W. A. Mozart. The museum offers guests a tour through its original eighteenth-century rooms, and is home to various portraits, letters, memorabilia and instruments owned by the composer. Top Tip: Why not invest in a Salzburg Card? It gives you free admission into many of the city’s top museums. This grand house was Mozart’s home from 1773 to 1781 where the young prodigy shared a spacious apartment with his family. In this museum you can see the very fortepiano Mozart played, alongside a fascinating exploration of the building’s history. Attending a concert is one of the highlights of any trip to Salzburg. There are plenty of opportunities to hear Mozart’s pieces played live but a particularly lovely way to do it is to attend a Mozart Dinner Concert. Hosted at St. Peter Stiftskeller, which claims to be the oldest restaurant in Europe, the evening consists of listening to a gorgeous classical orchestra whilst enjoying a three-course meal based on historical recipes. Date and Time: Dinners usually begin at 7.30pm and occur regularly throughout the year. Alderhof – The Alderhof is a comfortable, family-run hotel just 15 minutes’ walk from the Old Town. The building is full of character – it dates from 1900 and has plenty of original features, particularly in the elegant breakfast room. Amenities include Wi-Fi, private bathrooms and satellite TV. Kolpinghaus Salzburg – This great value hotel offers clean, modern rooms next to the Salzach River. This is an ideal option for keen city walkers as the Old Town is a 30-minute walk away. The hotel serves a delicious breakfast buffet and provides guests with free Wi-Fi, barbeque facilities, as well as rentable bicycles. Eco Suite Hotel – With colourful, stylish rooms overlooking the Salzach River, the Eco Suite Hotel is another great option for culture lovers. A 25-minute walk will take you to the heart of the Old Town, yet the hotel offers every modern convenience including e-bikes, free Wi-Fi, a small kitchenette and a flat-screen TV. Getting here from the UK is as easy as Do Re Mi. 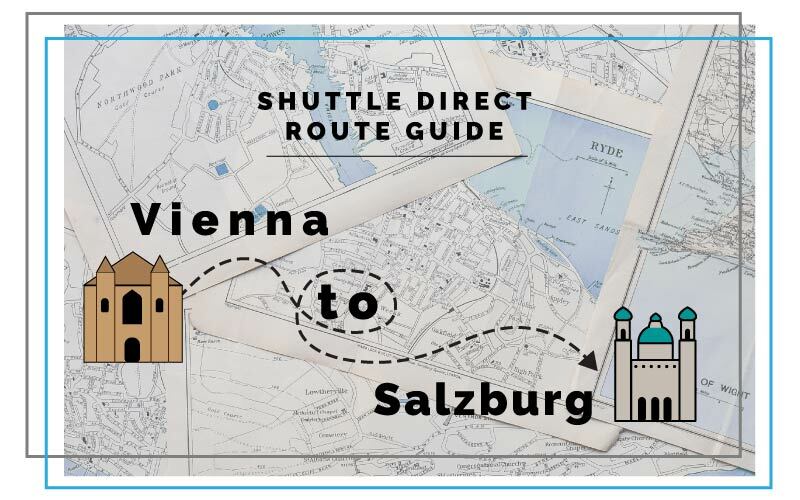 Flights from London to Salzburg Airport (SZG) take just under two hours. 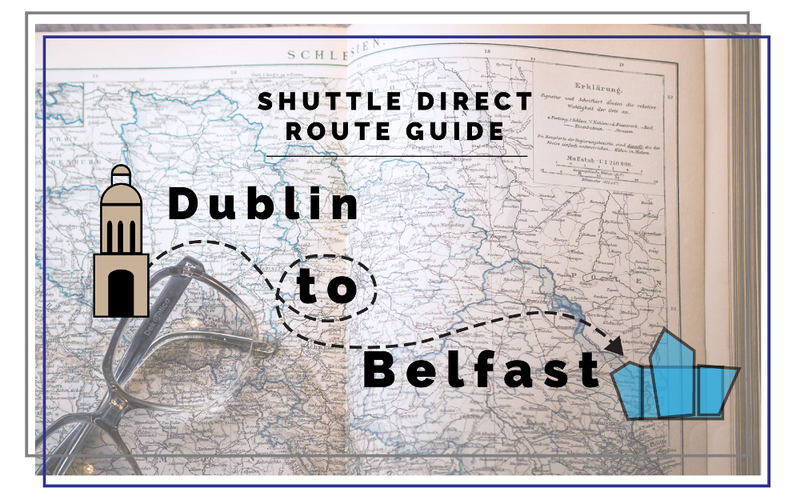 I would recommend pre-booking a private or shared shuttle to transfer you from the airport to the town centre – the journey takes just 12 minutes. In my opinion, Shuttle Direct offer the best airport transfer service. They are reliable and efficient and offer a range of transfer options all for a great price. At Shuttle Direct we offer an excellent service in over 50 countries. You can also trust us to keep costs low with no booking fees or credit card surcharges when you book online. All prices and opening times are correct at the time of publishing. Olivia is a freelance writer and avid reader who graduated from the University of Oxford in 2016. She lived in France for a year before returning to the world of words and is currently completing an MA in Eighteenth-Century Studies at the University of York. She is a keen traveller and has ticked several exotic locations off her travel bucket list including Peru, Sri Lanka, India and Australia. Olivia has also travelled extensively in Europe, from romantic mini-breaks in Prague to lazy weeks in the sun in Southern Italy.